Generally, you know what you’re getting with a flashgun. As Hink’s promo video points out, the basic design of the humble flashgun really hasn’t changed all that much over the past 30 years. That’s why this innovative rethink of the flashgun is both so simple and so cool. The Hink Spacefish is quite simply a flashgun with a flexible neck, allowing you to precisely fine-tune the direction of the light to suit your needs. The Spacefish is USB compatible, allowing for attachment of extra accessories like batteries or wireless trigger kits. It’s got a recycle time of 0.8sec and an output guide number of 33m at ISO 100. The output sounds a little weak, but we reckon it’s an innovative idea that has legs. If you do too, consider helping them out. Wireless camera controllers are by no means a new idea, but it’s something where there’s plenty of room for improvement. 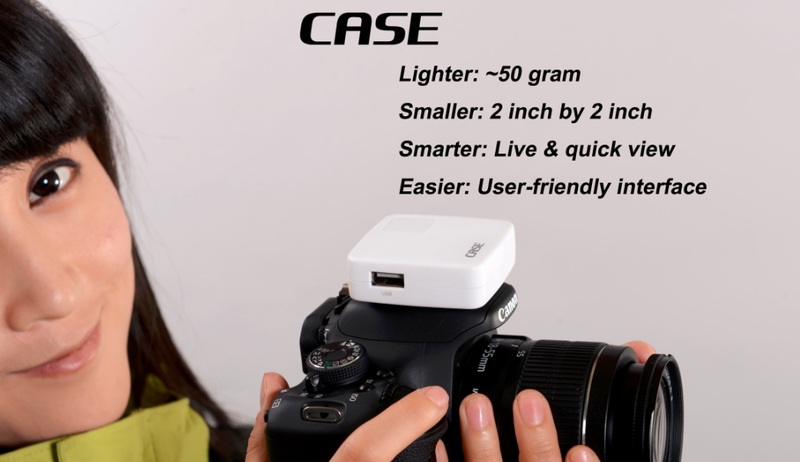 CASE promises a smaller, lighter and easier way to connect your Canon or Nikon DSLR to your smartphone. CASE offers live view, remote shooting, touch focus and a host of other functions. From the looks of the promotional video, the interface seems very smooth – sparse and intuitively laid out. 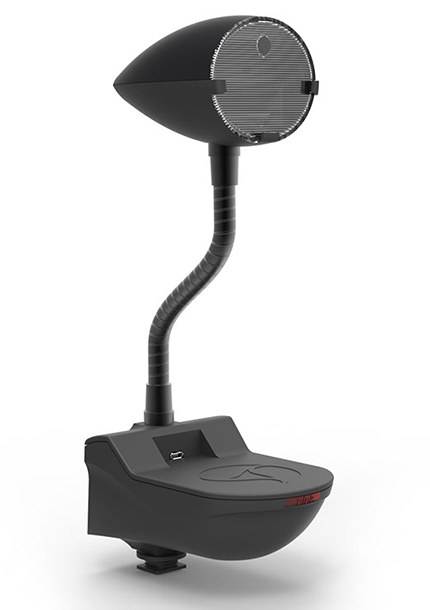 There’s a nice emphasis on simplicity but with a few neat features such as plug-in sensors for motion-triggered shooting, built-in time lapse and multiple connectivity options including velcro and hotshoe. CASE has blasted through its funding target already, but there are a few days left to throw some cash in if you’d like to pick one up on the cheap. A seemingly endless number of people seem keen to tell anyone who’ll listen that instant film, and film generally, is enjoying a Renaissance in this post-Lomography era. If the $100,000 this project has already raised is any indicator, they may be onto something. 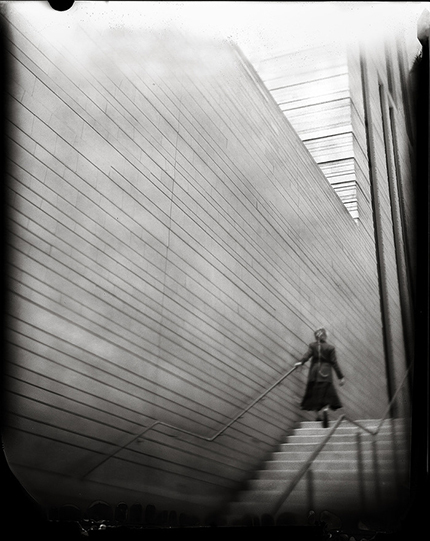 New55 is black-and-white peel-apart 4×5 film that produces a negative and a positive print on a receiver sheet. It works with the Polaroid 545 Land Film Holder. Though the Instagram-phobic cynic might disagree, we think the pictures show every sign of looking rather lovely. Throw some money behind New55 here. Photobook projects are a common sight on Kickstarter, and our pick of the ones clamouring for attention at the moment is this reissue of the fascinating City of Darkness by Greg Girard and Ian Lambot. 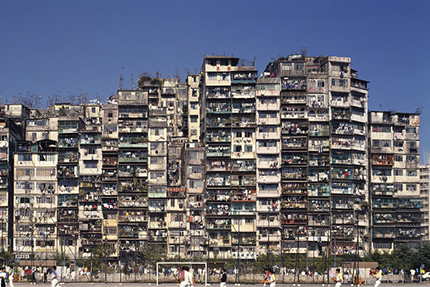 Until its demolition in 1993, the Kowloon Walled City in Hong Kong was the most densely populated area on the planet. Girard and Lambot spent several years photographing and documenting this district that, despite rising crime and major sanitation problems, was home to more than 33,000 people. There’s a wealth of history to uncover from this curious, lawless historical anomaly, and the taster of the photography visible n the Kickstarter page looks pretty exceptional. See the project and donate here.